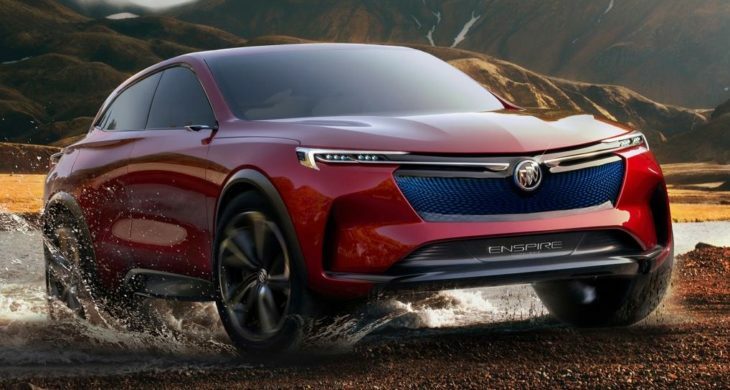 Earlier in April, at the Beijing Auto Show, Buick revealed a new high-tech compact crossover concept, called the Enspire, that featured a huge number of exciting features and design cues. Now, it’s looking like that concept will soon hit the production line, but the question is – what will it bring to the table? 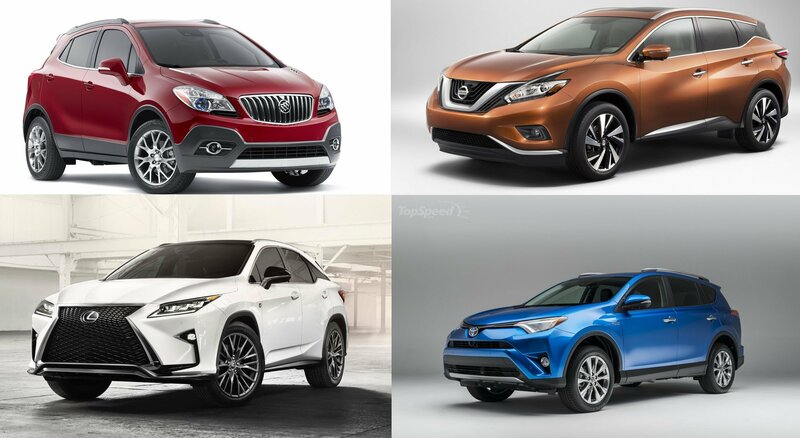 The market trend is quickly shifting from sedans to crossovers and SUVs. However, SUVs have two major cons when compared to their segment counterparts – high retail price and poor fuel economy. Even though they are a practical choice thanks to additional cabin and cargo space, it’s a little difficult for everyone to afford an SUV. So why not go for a used SUV instead? You don’t take the depreciation hit that first owner does, and since SUVs are built to last a lifetime, you can get an almost-new SUV at half the original price. Now that we’ve planted this seed in your head, let’s have a look at the best used SUVs from 2016 with high fuel efficiency. Buick wants to do with its Avenir trim much the same what GMC did with its Denali. It is a pseudo-luxury sub-brand created to move usually mediocre cars into the world of utmost luxury. Up until this point, Buick did just that with the Enclave Avenir, the LaCrosse Avenir, and the GL8 Avenir (only available in China,) but they’ve just revealed that the Avenir luxury trim will land on the Buick Regal Sportback. 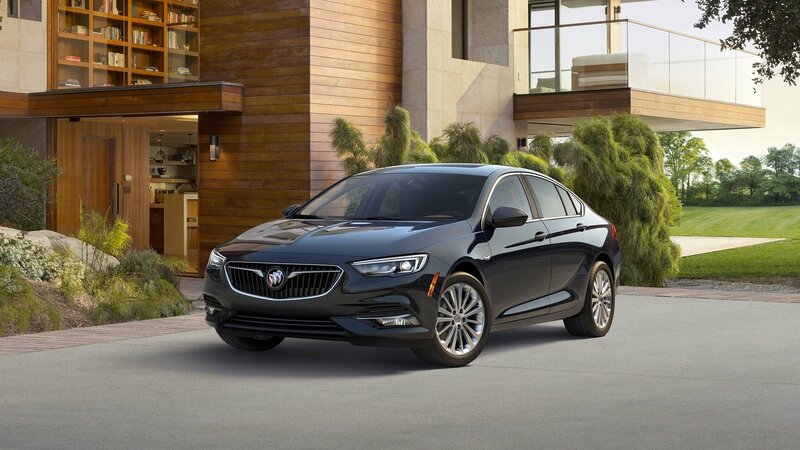 In an expected turn of events, the Avenir trim line garnished the 2019 Buick Regal Sportback with serious luxurious gear differentiating it from the current top of the line trim called the Preferred II. For now, the 2019 Buick Regal Avenir is available only in the Sportback guise with a 2.0-liter, turbocharged engine developing 250 horsepower, with a front wheel drive, and advanced nine-speed automatic transmission. 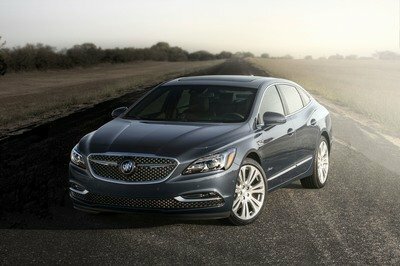 The Buick LaCrosse is getting some reinforcement in the form of a new trim model called Sport Touring. Officially referred to as the LaCross Sport Touring, this new trim option will slot in as the sportiest model in the entire LaCrosse lineup. It’s been developed to not only look the part but also perform like a performance-oriented sedan. 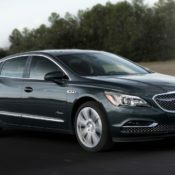 Pricing for the Buick LaCrosse Sport Touring starts at $40,295, including $925 in destination fees. 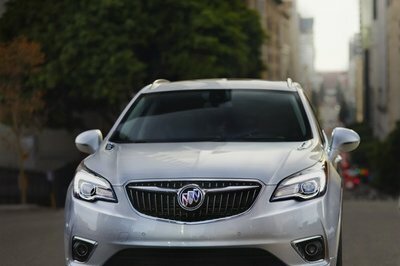 The refreshingly unique Buick LaCrosse is getting a hot new variant that would definitely increase the car’s appeal in the eyes of Buick buyers, whose numbers, truth be told, are dwindling these days. The new 2019 Buick LaCrosse Sport Touring, or ST for short, features little touches that are designed to make the car look and feel more refined. 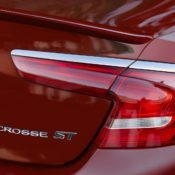 The main highlights of the 2019 Buick LaCrosse Sport Touring include a body color grille surround and side vents which replace the chrome on other models for a monotone theme, a subtle rear spoiler, black mesh grille, 19-inch midnight silver wheels, and “ST” badging on the trunk lid. being a 2019 model, the ST also benefits from the range-wide updates such as the new exterior colors, Carrageen Metallic and Pewter Metallic, and the new air ionizer designed to eliminate odors and improve air quality. Although that last one only comes with the Avenir model for now. 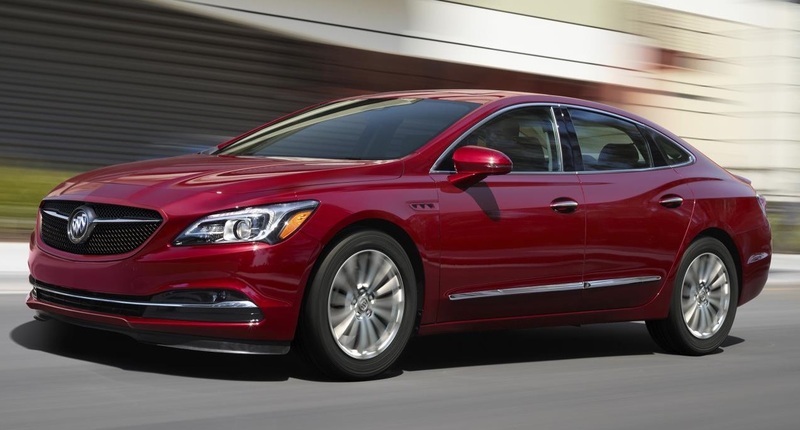 2019 Buick LaCrosse Sport Touring is priced from $40,295, including a $925 destination fee. That is a bit steep, but then the sedan boasts a 310-horsepower, 3.6L V-6 and a 9-speed automatic transmission, a setup that is both fast and refined and smooth. Available paint jobs for this model include White Frost Tricoat, Satin Steel Metallic, Quicksilver Metallic, Red Quartz Tintcoat and Ebony Twilight Metallic. 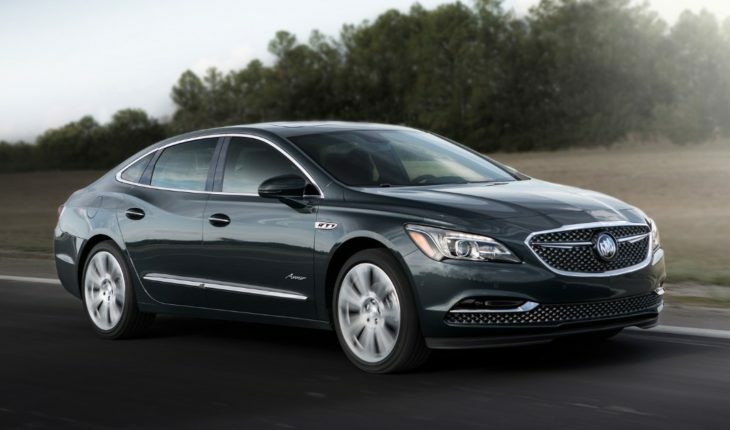 The post 2019 Buick LaCrosse Sport Touring Joins the Lineup appeared first on Motorward. The year is 2018, and every automaker has their vision for the future. With the current trend, it should come as no surprise that most of those “vision” concepts are crossovers, SUVs or coupe-like crossovers. Such is the case with Bucks latest concept, the Enspire – a model Buick says is an “exploration of its bold design ideas and innovative technologies for future mobility.” PR Talk aside, it does have a stylish and sleek design that’s still somewhat within the realm of reality. It’s said to feature augmented reality, a conceptual form of 5G internet connectivity, and has an all-electric drivetrain that’s powerful enough to get it up to 60 mph in just four seconds. Whether or not Buick will last long enough for a concept like this to come to life remains to be seen but let’s take a closer look at it anyway. One of General Motors biggest headlines at this year’s Beijing Auto Show in China is the debut of the 2018 Buick Enspire concept. The all-electric SUV previews not just future technologies for the brand, but also a bold new design that the looks of upcoming production models. Buick’s concepts of this past few years have all been great looking, and Buick Enspire is no exception. 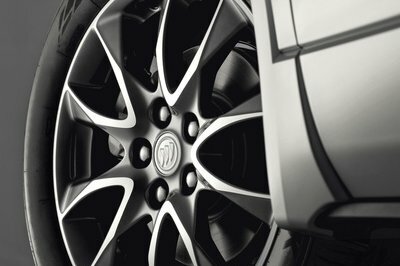 The SUV has a dynamic and sporty design without compromising on that unique Buick touch that makes their cars unlike anything else out there. The sculpted lines of the exterior are complemented with a “surround skyline” interior design featuring suspended theater-type seating, and center console and armrests made from natural wood grain and microfiber suede which is a new and interesting idea. 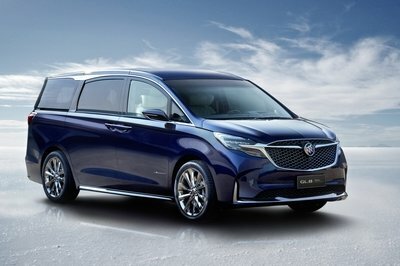 Technology highlights of Buick Enspire Electric SUV include an OLED display screen and an intelligent augmented reality technology-based head-up display system, as well as 5G connectivity. In terms of performance, the car boasts an eMotion electric propulsion which is good for 410 kW of max output. That in turn is good for a 0 to 60 mph acceleration time of 4.0 seconds. But this being a family SUV the more important figure is the range, which stands at 370 miles on a single charge. The Enspire also features both fast and wireless charging technologies. That means the battery can be charged to 80 percent of capacity within 40 minutes. The electric propulsion system in this car seems virtually production ready. It remains to be seen if Buick has any practical plans in mind for this concept. The post Buick Enspire Electric SUV Concept Set for Beijing Debut appeared first on Motorward. 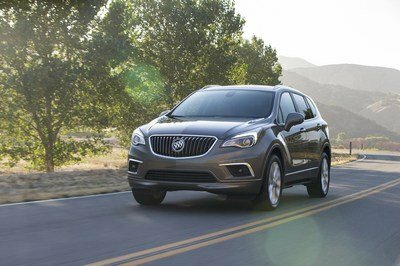 Only three years after its introduction, Buick is giving the Envision crossover a mid-cycle refresh for the 2019 model year. 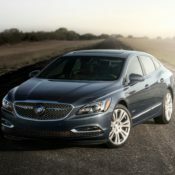 According to Buick, the changes come as a direct response to customer feedback. These include heated seats that work more quickly, a defeat button for the auto stop/start system and updated wireless charging for devices like the iPhone 8 and iPhone X. Other changes, however, are typical of a refresh, like the reworked exterior styling and upgraded powertrain. Best of all, Buick is dropping the price on all five trim levels by roughly $1,000. Buick has already seen impressive sales from the Envision. It sold over 55,000 examples for the 2017 model year in the U.S. alone. Canada adds another 4,000. Those figures pale in comparison to China’s sales figures, where the Envision sold more than 236,000 examples in 2017 and 275,000 in 2016. 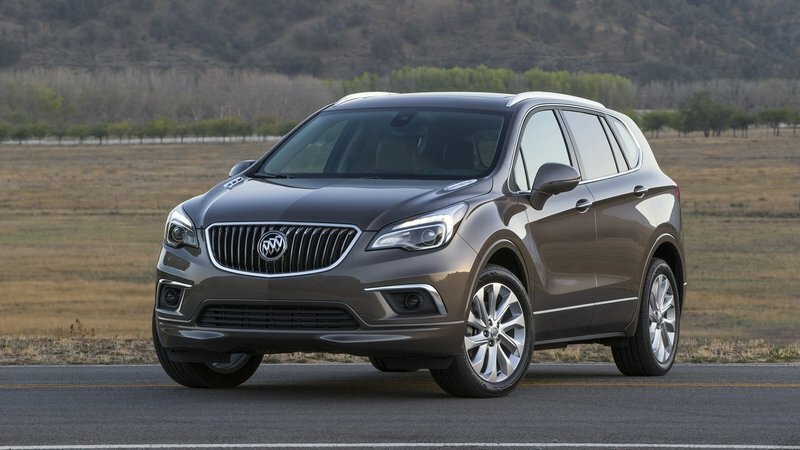 That makes sense considering Buick designed the Envision for the Chinese market and assembles the crossover in GM’s Shandong assembly plant. 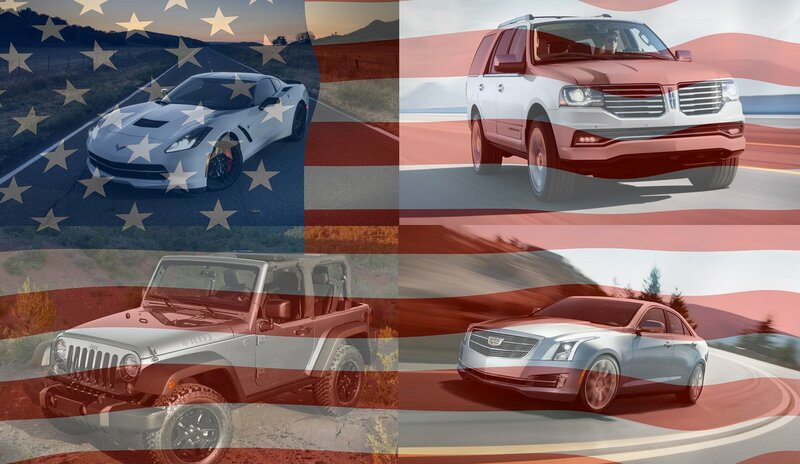 Yes, even U.S.-spec Envisions are built in China. 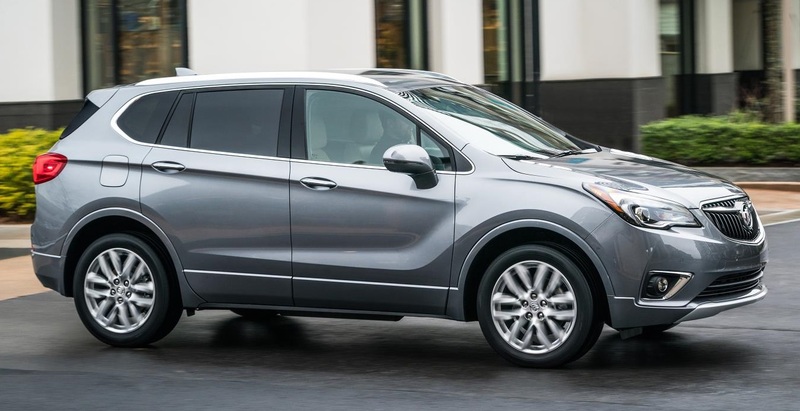 Buick has given the 2019 Envision crossover a respectable mid-cycle refresh. The exterior boasts a handful of meaningful changes that should help it stand out in a crowded segment. 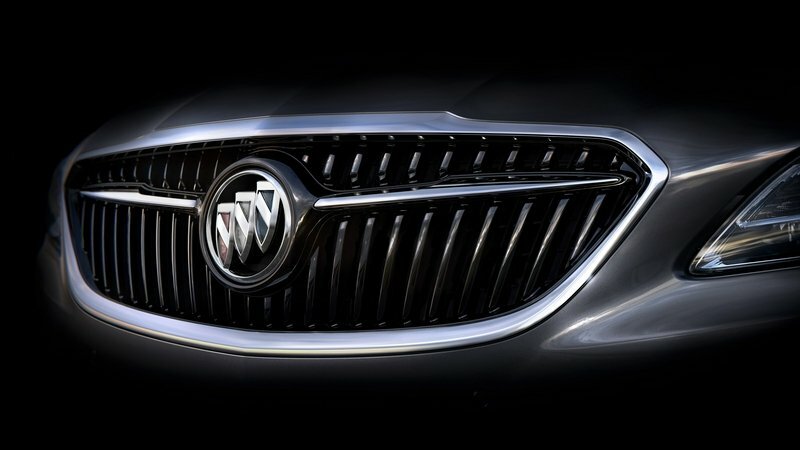 Up front, the grille now has Buick’s winged emblem seen across the automaker’s lineup. The bumper is modified with a sharpened shape, creating more of an indented lower grille. The fog light surrounds are now more compact, foregoing the chrome trim that previously extended to the lower grille. The lower apron is smoothed out, as well, but with a faux slid plate colored in a satin chrome. LED headlights are made standard across the trim lineup for 2019. LED daytime running lights give it a distinctive look, too. 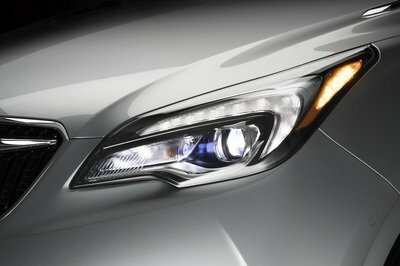 The two upper trim levels, the Premium and Premium II, come standard with upgraded bi-functional LED headlights. The biggest changes happen around back. The taillights, liftgate, quarter panels, and bumper are all more aggressive than before. Strong character lines cut into the quarter panels, giving the Envision a more athletic appearance. The thinned-out taillights have LED strips that give it an identifiable signature at night. Down low, the bumper has a new faux diffuser in satin chrome that’s flanked by integrated dual exhaust tips in chrome. 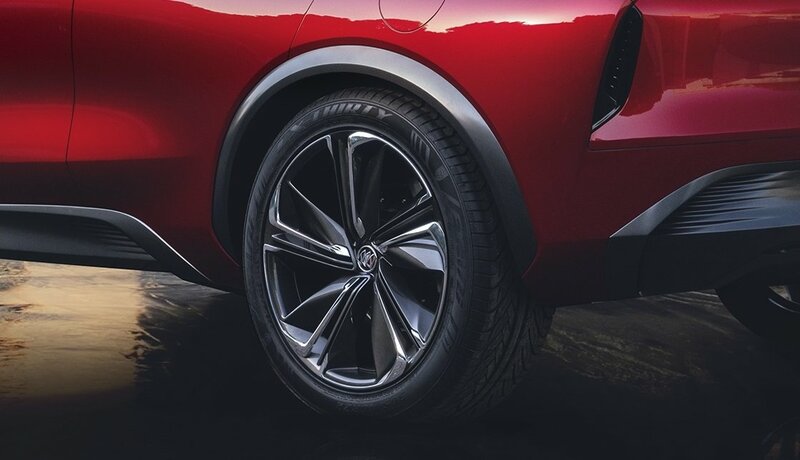 Lastly, the optional 19-inch wheels have a new design that helps separate the 2019 model from its predecessors. A quick glance into the 2019 Buick Envision’s five-passenger interior won’t result in a big surprise. Buick didn’t change drastic things like the dashboard’s design or the infotainment system’s screen size. Rather, the changes are in the details. Users will find the heated seats warm up more quickly and their phone charges more quickly than before. The wireless charging pad uses next-generation technology to charge devices like the iPhone 8 and iPhone X more quickly. On a phone call, users will have better voice quality thanks to an upgraded microphone for the hands-free calling system. The resolution of the backup camera is also improved. Upper trim levels can still get the handy 360-degree camera system, too. Last but not least, the Envision now has an air ionizer that purifies outside air before it comes into the cabin. Perhaps considered a novelty in North America, customers in China see it more as a need due to the air pollution most metropolitan areas. The 2019 Envision continues to come standard with an 8.0-inch infotainment screen running software based on GM’s MyLink, IntelliLink, and CUE systems. It offers 4G LTE Wi-Fi hotspot, Apple CarPlay, and Android Auto. Unlimited data plans cost only $20 per month through AT&T for the Wi-Fi hotspot. 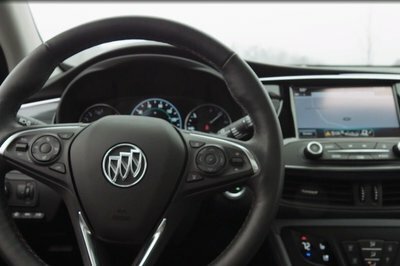 Buick also made switching between the Adaptive Cruise Control and conventional cruise control simpler. Buick’s updates for the 2019 Envision continue under the hood. The optional 2.0-liter turbocharged four-cylinder now comes with a nine-speed automatic transmission that replaces the six-speed auto. Accompanying the new gearbox is 35 pound-feet more torque, bringing the total to 295 pound-feet. Horsepower remains at 252. The standard 2.5-liter naturally aspirated four-cylinder carries over unchanged with 197 horsepower and 192 pound-feet of torque. It mates to a six-speed automatic transmission and powers the front wheels. AWD is available. Along with the updates, Buick now includes a defeat button for the auto stop/start system, allowing the driver to turn the system off. 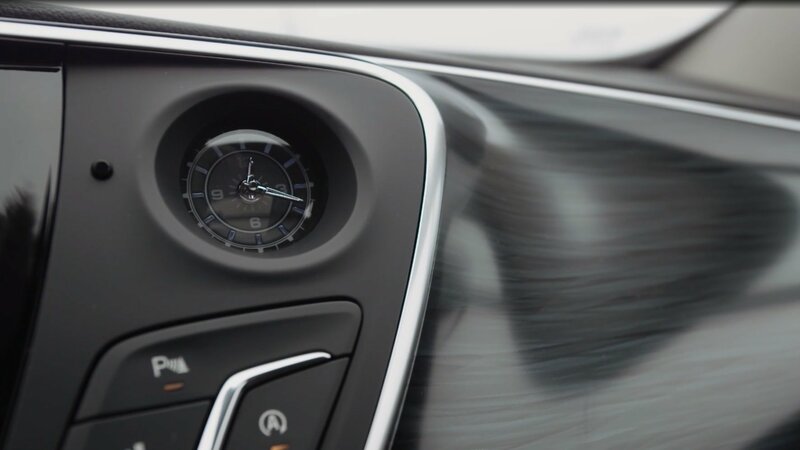 When active, the system automatically turns the engine off when the vehicle is stationary. Releasing the brake pedal instantly restarts the engine. While designed to save fuel, some (us included) feel auto stop/start systems are annoying. As for fuel economy, don’t expect any changes to the standard 2.5-liter’s performance. It is EPA-estimated to get 22 mpg city and 29 mpg highway in FWD form. The updated 2.0-liter turbo and nine-speed automatic should return better fuel economy than before, which was rated at 20 mpg city and 26 mpg combined in AWD form. Not many changes in the safety department. 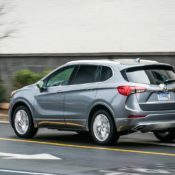 The Envision is already brimming with active and passive safety equipment including available adaptive cruise control, Forward Automatic Braking, Lane Change Alert, Blind Spot Monitoring, GM’s Safety Alert Seat, Rear Seat Reminder, a 360-degree camera system, and Rear Park Assist. Passive safety features include dual front airbags, side curtain airbags, and knee airbags for a total of 10. And new for 2019 and new to Buick is Tire Fill Alert, which lets the driver know when a tire is at the proper pressure when during filling. 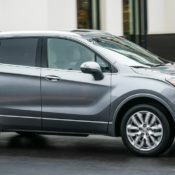 The 2019 Envision is offered in five trim levels – the base Envision, Preferred, Essence, Premium, and Premium II. Prices start at $32,990, which is roughly $1,000 less than the 2018 model. The Preferred trim starts at $34,495, the Essence starts at $36,795, the Premium starts at $41,695, and the Premium II starts at $44,595. Of course, optional equipment and features, taxes, fees, and other costs aren’t factored into those prices. Acura is giving its compact RDX a major generational update for 2019. The new two-row crossover wears Acura’s updates corporate design language, which is far sportier than anything in the automaker’s past. Finally gone is the ugly “beak” grille, replaced with a six-sided grille with a massive Acura logo. Sharp creases and strong character lines continue from bumper to bumper. Inside, the 2019 RDX has a high-tech cabin with seating for five. The center console rises high off the floor and houses Acura’s push-button transmission controls and a large center knob for the Dynamic Mode system with its several drive modes. Under the hood, the RDX comes with a 2.0-liter turbocharged four-cylinder. Official specs haven’t been released as of this writing, but we’re expecting the same 252 horsepower and 273 pound-feet of torque ponied up by the Honda Accord. 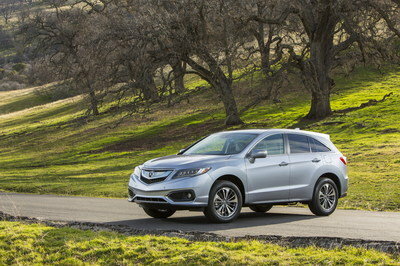 Acura’s SH-AWD all-wheel drive will make the new RDX handle any weather condition. Pricing should start around $36,000. Read our full review on the 2019 Acura RDX. 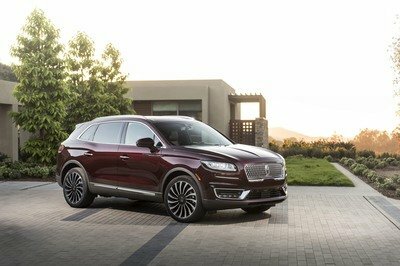 Lincoln is slowly revamping its lineup with high-end models like the Continental and Navigator. However, the latest change is the Nautilus. It’s basically a rebadged MKX with a heavy refresh. Don’t think about it that way, though, as the Nautilus is directly targeted at the compact luxury crossover segment with a laser focus. Its classy design extends from the outside to the inside, with a beautifully done cabin fitted with rich materials. Power comes from two available engines – a 2.0-liter EcoBoost good for 245 horsepower and a 2.7-liter EcoBoost V-6 kicking out an impressive 335 horsepower. Both engines are backed by an eight-speed automatic transmission that turns the front wheels. AWD is optional. Pricing for the 2019 Nautilus will likely start around $40,000 seeing as the outgoing MKX started at $39,035 for 2018. Read our full review on the 2019 Lincoln Nautilus. The Envision might upset Buick loyalists who view the brand as an all-American ode to style and comfort and whose glory days ended with the Space Race. 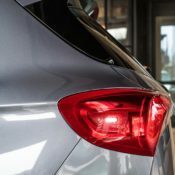 The modern Buick is becoming respectable thanks to its growing model lineup and its renewed customer-focused attention. 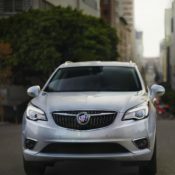 While Buick might not be the young family’s choice, the Baby Boomer generation and even older Gen Xers make up a huge portion of the population. Younger folks might scoff at Buick for catering to those groups, but seniors and mid-lifers are the ones with buying power. 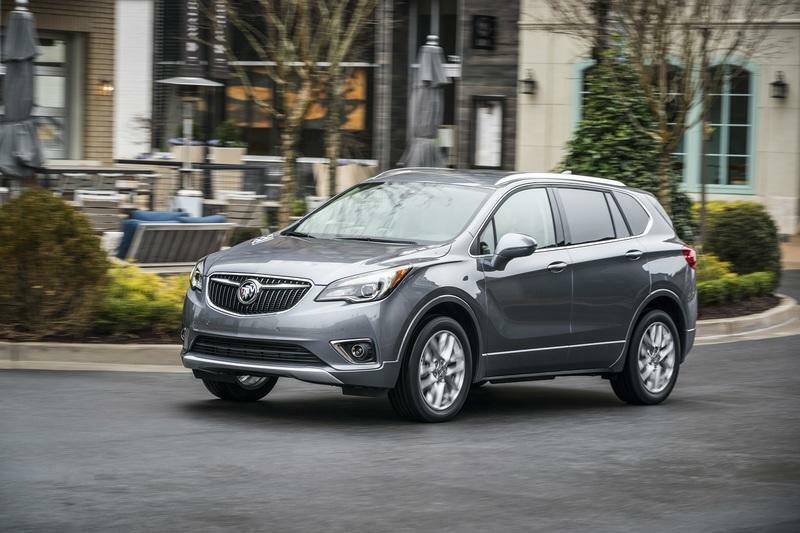 Buick’s mild but strategic updates for the 2019 Envision are a perfect example of an automaker conforming to what its customers want. For that, Buick certainly deserved respect. 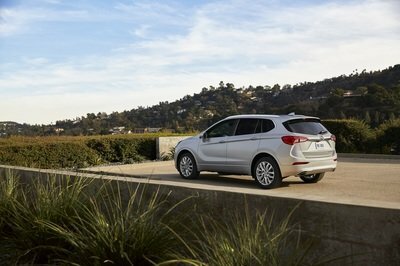 Read our full review on the 2018 Buick Envision. 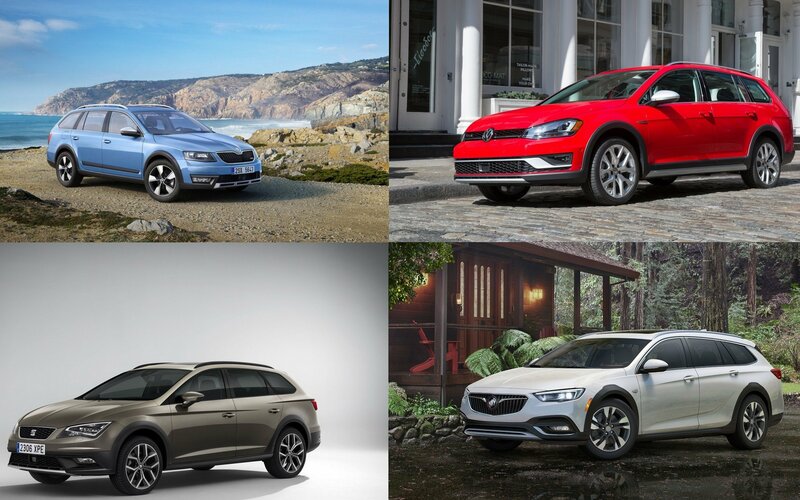 The family SUV/crossover segment is replete with various choices in all sorts of looks and trims and options. 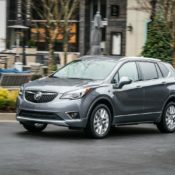 But if what you value above all else is uniqueness, then something like the 2019 Buick Envision could be the car for you. It is not the best in its class by any means, but it does have a sort of quirky charm about it. 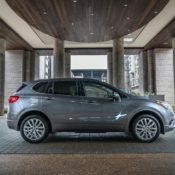 For the new modelyear the 2019 Buick Envision features a bunch of upgrades, beginning with a nine-speed automatic transmission for 2.0L turbo models. The 2.0 liter engine itself is upgraded as well, now boasting 252 horsepower and 295 lb-ft of torque. Other technical enhancements include engine start/stop deactivation switch, single rate brake booster for improved overall brake performance, and flexibility to switch between Adaptive Cruise Control and conventional Cruise Control. 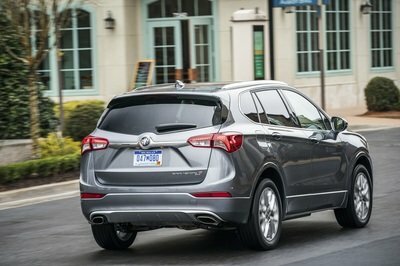 As for convenience, 2019 Buick Envision comes with Rear Vision Camera, better hands-free microphones, improved seat heating system, next-generation wireless charging with wattage capability for fast charging, in-vehicle air ionizer, and lighting upgrade with LED lamps on 2.0 turbo models and HID headlights standard on 2.5L models. With all these improvements the $32,990 (excluding tax, title, license, dealer fees and optional equipment) MSRP does not sound too bad. 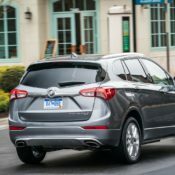 The post 2019 Buick Envision – Pricing and Specs appeared first on Motorward. Launched in 2005 as a replacement for both the Buick Century and Lucerne, the LaCrosse was a big success in its first full year on the market, selling close to 100,000 units. Although sales dropped and the sedan rarely moved more than 50,000 examples per year since 2007, it’s still an important car for the GM-owned brand. Redesigned for 2017 with a more elegant design and a more upscale interior, the LaCrosse is now moving higher on the premium ladder with the Avenir model. Although the Avenir name was launched with a concept car and gave us hope of a new, luxury-oriented sub-brand, it turned out to be just a trim level. This was confirmed when the Enclave Avenir was unveiled earlier in 2017 as the range-topping model of the company’s full-size crossover. Now, it’s the LaCrosse’s turn to get pampered in a move that’s supposed to satisfy market demand, according to Duncan Aldred, vice president of Buick and GMC. “Nine out of ten LaCrosse buyers are choosing one of the top two trim levels — customers are signaling they want more from Buick,” he said. Let’s have a closer look at what the Avenir badge brings to the LaCrosse. 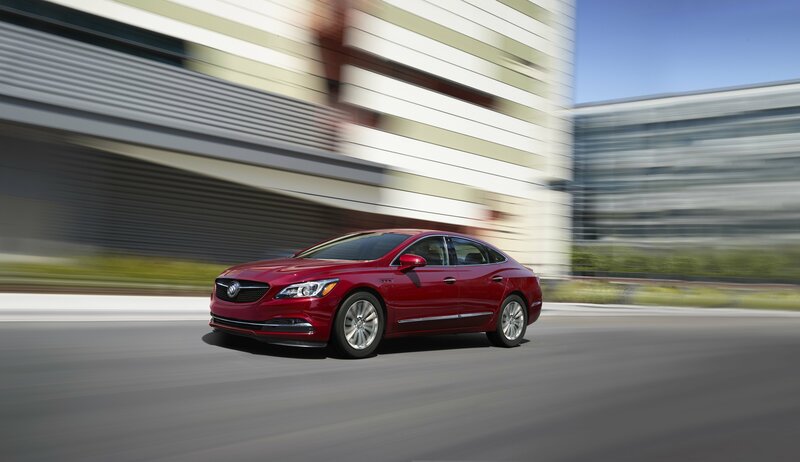 Continue reading to learn more about the Buick LaCrosse Avenir. 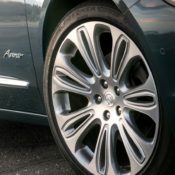 What makes the Buick LaCrosse Avenir special? 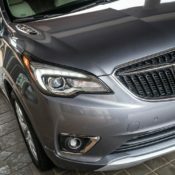 Just like on the Enclave SUV, the Avenir package replaces the vertical-slat, “waterfall” grille of the standard LaCrosse with a three-dimensional mesh with a honeycomb design. The same mesh was fitted in the bumper, replacing the horizontal bar seen on the regular sedan. At the same time, the lower grille is now a one-piece element with LED lights at the corners. This gives the car a wider stance, as well as a more upscale look. Changes aren’t as significant onto the sides, but the sedan did get “Avenir” badges on the front doors and a set of exclusive, 19-inch Pearl Nickel wheels. Optionally, you can get larger, 20-inch rollers finished in Midnight Silver. Around back, the Avenir trim is identical to the regular model. 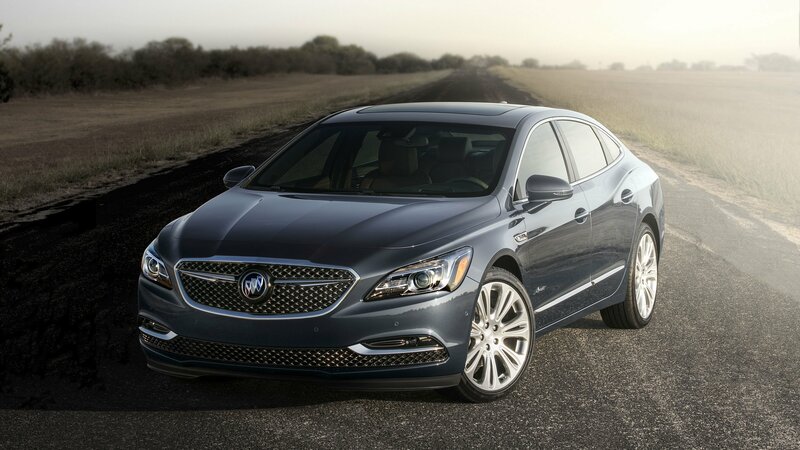 Overall, Buick managed to maintain the LaCrosse’s classy and organic lines while adding subtle and tasteful details. It’s the right way to move a car up the premium ladder without overdoing it. 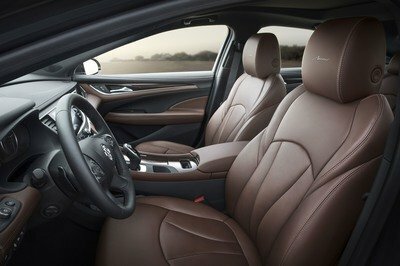 As seen on the outside, the interior gets subtle detailing and new upholstery. The seats, lower dashboard, and parts of the door panels are now wrapped in Chestnut leather, a dark shade of brown that works well with the black upper dash and doors, giving the cabin a classy look. The contrasting stitching and piping seen in the Enclave didn’t make it inside the LaCrosse, but the front seats have embroidered headrests as an extra feature. Speaking of which, the Avenir model comes standard with a navigation system and a Bose Centerpoint Surround Sound premium audio, as well as a panoramic moonroof. These three features are optional on the regular sedan. The upscale interior is rounded off by Avenir sill plates. 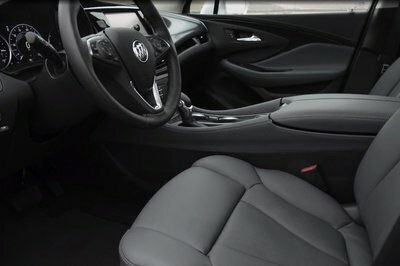 If you don’t like the Chestnut upholstery and prefer something a bit more sober, Buick has you covered with the optional Ebony interior. Under the hood, the Avenir uses the same 3.6-liter V-6 as the standard LaCrosse. This isn’t surprising though, as it’s the only drivetrain option for the third-generation sedan. Although similar to the previous V-6, the unit is actually new, having been launched with the Cadillac XT5 crossover. The mill cranks out 305 horsepower and 268 pound-feet of torque, a mild increase over the outgoing unit, but the fact that the new LaCrosse is some 300 pounds lighter makes quite a difference in the performance and fuel economy departments. The engine pairs to a nine-speed automatic transmission and uses Active Fuel Management (cylinder deactivation) and stop-start technology. The Intelligent Twin-Clutch AWD system is optional, as is the Dynamic Drive Package, which adds continuous variable real-time dampening control and a range of advanced safety features. The list of active safety systems includes Front Pedestrian Braking, Lane Keep Assist, Forward Automatic Braking, Forward Collision Alert, Lane Change Alert with Side Blind Zone Alert, Automatic Park Assist, Adaptive Cruise Control, and Rear Vision Camera. Pricing information is not available as of November 13, 2017, but the Avenir should become the most expensive model in the range. With the range-topping LaCrosse Premium costing $41,900, the Avenir could fetch at least $46,000 before options. For reference, the base model retails from $32,990. 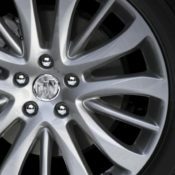 Read our full article on the 2017 Buick LaCrosse. Following the Enclave Avenir, Buick’s luxury sub-brand now enters the sedan segment with this, the new 2018 Buick LaCrosse Avenir. Boasting unique styling denials, premium materials and a ton of standard features, the flagship LaCrosse will arrive at dealers in early 2018 to offer customers a refreshingly different options to the established European and Japanese models. Though it features remarkable improvements over the standard models, the design of 2018 Buick LaCrosse Avenir is still nothing to write home about. The whole thing looks kind of outdated and old-fashioned, but maybe that’s something some people actually want. The improvements include the addition of a unique three-dimensional mesh upper and lower grille paired with chrome wings, Avenir script badging, and 19-inch Pearl Nickel or available 20-inch Midnight Silver wheels. You might find the cabin a lot more satisfying as it comes with such features as Chestnut interior color theme, embroidered first-row headrests and Avenir-scripted sill plates. Equipment-wise, you get Intelligent Twin-Clutch AWD, Dynamic Drive Package featuring continuous variable real-time dampening control and a suite of advanced safety features. You also get navigation and Bose Centerpoint Surround Sound premium audio, as well as a panoramic moonroof, plus a 310 horsepower V6 engine mated to a nine-speed automatic transmission. 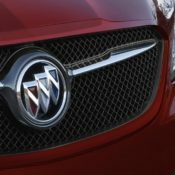 The post Official: 2018 Buick LaCrosse Avenir appeared first on Motorward. 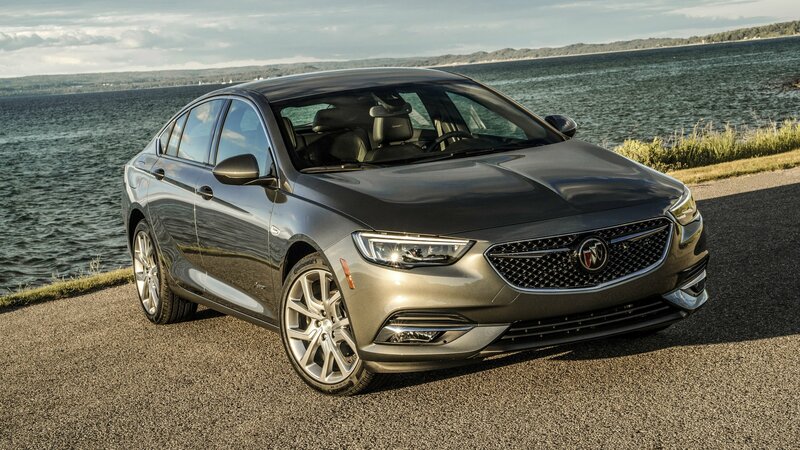 Redesigned for the 2018 model year, the Buick Regal is heavily based on the European-made Opel Insignia and shares most of its features with the German sedan. 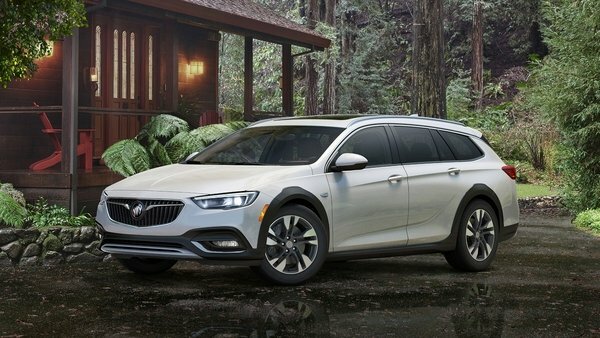 Featuring a transverse front engine and front-wheel drive as standard (AWD optional), the new Regal has already spawned Sportback and station wagon versions, just like its European sibling. Come 2017 and the Opel Insignia GSi, the brands higher performance version is coming to the U.S. as the Regal GS, a nameplate that Buick has been using since the 1990s. Described as a vehicle in which “spirited driving meets attainable luxury and sleek, sporty design meets modern usefulness,” the GS is a massive improvement over its predecessor. Not only boasting an extra 51 horsepower, it also has all-wheel-drive and all the new technology available in the standard Regal. 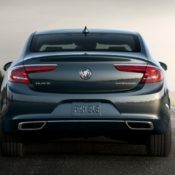 “The new Regal GS is in the sweet spot of the market: more refined and luxurious than the mainstream, more value for the price with style and premium features on par with higher-end competitors,” said Duncan Aldred, vice president of Buick. Let’s find out if this is true in the review below. Continue reading to learn more about the Buick Regal GS. The Buick Regal actually has a pretty long history that dates back to 1973, when it was first introduced to the market. It also led to some amazing cars in the 1970s, including the Grand National and the GNX. It was produced continuously here in the U.S. until 2004 when Buick decided to call it quits, but it was brought back in 2009 as an Opel in other markets and as the Regal here in the U.S. again in 2011. That generation ran until 2017 when it was time for the sixth-gen model to make its long-awaited debut. Now available in both Sportback and wagon form, the Regal is now better than ever in modern terms and for 2018, the Sportback brings a lot to the table. Featuring a coupe-like silhouette with four doors and a rear hatch, it’s really a combobulation of several different body types but somehow looks attractive and sporty. For 2018, Buick made huge improvements to the Regal, including increasing cargo space by more than half. It’s powered by a 2.0-liter four-cylinder good for around 250 ponies and should prove to be an awesome family car. It is available with a new nine-speed automatic or an eight-speed automatic if you want AWD. And, believe it or not, Buick is looking to take on the Germans, but aptly pointing out that the new Regal has more cargo space than both the BMW 4 Series Gran Coupe and the Audi A5 Sportback. Overall, the new Regal is also about 200 pounds lighter than its predecessor, and with the 2.0-liter it should offer up better fuel economy as well. It has a longer wheelbase which translates to better maneuverability and improved passenger space. A whole host of safety systems is available if you’re willing to pay for it, but you do get hood pedestrian safety as standard equipment. We still have a little while before the new Regal goes on sale, with its official launch slated for the fourth quarter of 2017. Until that happens, let’s take a better look at the new Regal and discover what all it has to offer. Buick, these days, is NOT a name synonymous with driving pleasure, good looks, excellent value or superb quality. That is why we’re a bit surprised that something like this 2018 Buick Regal GS has come off their production lines. This thing is to all intents and purposes a great mid-range sports sedan. 2018 Buick Regal GS seems to have the perfect recipe for a hot sedan you can daily drive, beat the hell out of, and just enjoy. It doesn’t overdo it with power, just 310 horsepower from a smooth 3.6L V-6, and it comes with nine-speed automatic transmission and intelligent all-wheel drive (AWD) with active twin clutch. And don’t mind the fairly large displacement. The GS has direct injection, cylinder deactivation and stop/start technology for optimum efficiency. 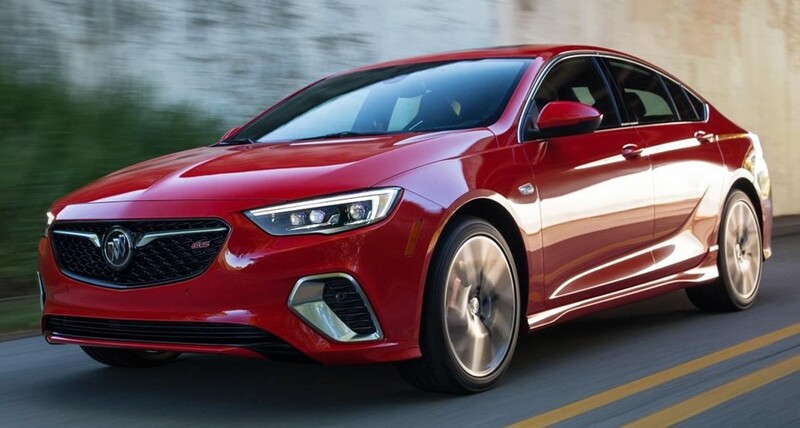 Chassis-wise, too, the 2018 Buick Regal GS punches above its 40 grand weight what with second-generation Continuous Damping Control (CDC) capable of 500 adjustments per second and Interactive Drive Control with GS and Sport modes plus Brembo front calipers. On top of all this, the car also sounds and look good. It has a standard sport exhaust and sport front and rear fascias, side skirts and rear spoiler, 19 inch wheels, and sport flat-bottomed steering wheel. See what we mean by perfect recipe? Everything a keen driver fancies in a $39,990 is there. We dare say that, all things considered, the Regal GS delivers more joy for the money than a BMW M3. 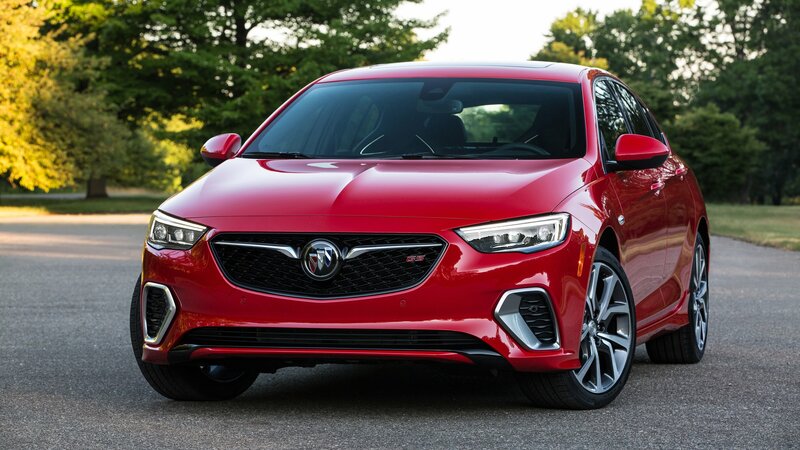 The post Official: 2018 Buick Regal GS appeared first on Motorward. Launched in 1973, the Buick Regal became a big hit in the 1980s, during the Grand National and GNX era. The nameplate soldiered on for two more generations until it was discontinued in 2004. Upon its return to the U.S. market in 2010, the Regal had become a re-engineered Opel Insignia. Although the “transplant” was received with some criticism by purists, the Regal once again became a big hit, especially in China. 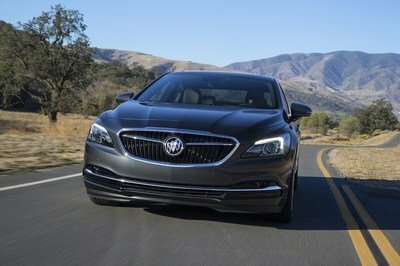 For 2018, Buick launched the sixth-generation Regal, a rebadged version of the brand-new Opel Insignia. Although rebadged vehicles are rarely a case to get excited about, the new Regal is a big deal for Buick. With Opel having upped the ante in just about every department, creating a sportier, premium looking car with an upmarket interior, the Regal has also moved up the luxury ladder in a move that should have happened years ago. What’s more, Buick decided to also import the wagon version of the Insignia as the Regal TourX. Not only that, but the TourX also sports crossover-specific features and a raised ride height, which makes it a perfect, and much-needed competitor for the likes of the Subaru Outback, Volvo V60 Cross Country, and Audi A4 Allroad. After two years of rumors and a highly debated trademark for the TourX name, Buick is finally offering a wagon after nearly two decades. Let’s find out more about it in the review below. Continue reading to learn more about the Buick Regal TourX.